We at Byrdie HQ tend to think a lot about beauty as a tool for female empowerment—in fact, it's kind of our M.O. And it's hard not to see that intersection personified in Kerry Washington, especially after meeting the talented actress in person at a recent Neutrogena event: She's poised, disarmingly friendly, and—it must be said—absolutely stunning. And as a vocal advocate for women and equality, she's living proof that contrary to misguided popular belief, beauty and feminism are not mutually exclusive. Really, she reminds me, it comes down to rethinking our traditional definition of beauty. "So, what do you think beauty actually is?" I press her. Washington pauses, taking a moment to marinate on a very abstract question. "It's hard to define," she says finally. "But I do think it's kind of owning what makes you 'you'." This idea that we're inherently beautiful certainly speaks to Washington's longstanding partnership with Neutrogena, because in an industry that largely capitalizes on a societal need to alter our appearance, it's kind of a radical notion when a brand tells us that we're already enough. "I like working with a company that's about bringing your best self forward, not trying to be somebody else," Washington says. "[You're not] creating an illusion of yourself." In the age of the perfectly curated Instagram feed? Imagine that. "Beauty is hard to define, but I do think it's kind of owning what makes you 'you'." Treating herself with love and respect is a rule that Washington lives by, especially in this brave new world of social chaos. (It's true that stress levels in America are at an all-time high since the November election.) That's not to say that it's always easy to find the time, what with a demanding filming schedule, red carpet events to attend, political advocacy, and a new baby at home. "I used to think I was so busy before I had a career and had a family. Now I'm like, 'I wasn't busy before—I had time to take bubble baths!'" she says. "So I really cling to the little rituals of self-love and self-care. I feel that it really is a way for me to feel my best and feel like I'm bringing my best self out into the world with others." And that, of course, includes skincare—something that she prioritizes no matter where she happens to be on a given day, even if it's several thousand feet in the air. "I'm a little bit obsessed with Neutrogena's new lip balm," Washington says. "I never fly without it. 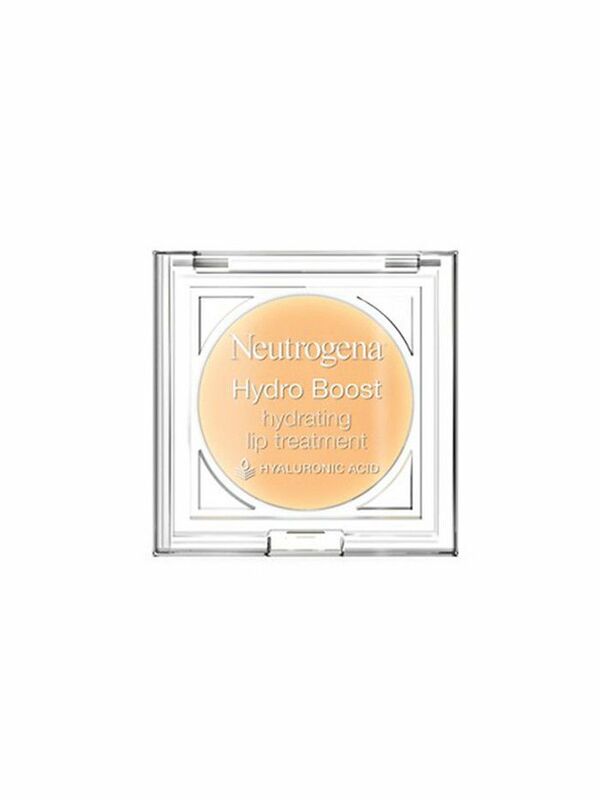 I was always trying to put the Water Gel on my lips to get the same effect of the hyaluronic acid, but this is such a prettier, more functional way to do it." The same goes for the brand's ingenious new concealer, a creamy stick formula that includes a circle of hyaluronic moisturizer in the middle. "Most of the places where I tend to want to do concealer—especially when I'm not doing a full face of makeup—are places that also need more moisture," she says. "It's very user-friendly, and I definitely feel the difference. Also, the hyaluronic keeps it from being too chalky and building up—it really stays smooth." Putting her best face forward, indeed. Check out more empowering celeb quotes here.